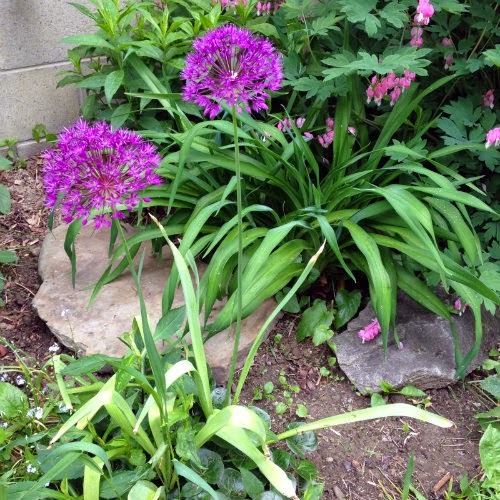 I don't remember planting this purple beauty...let alone planting it smack dab in the middle of my ginger plant. I do love a 'volunteer' plant like that popping in, especially when its so pretty! The birds probably planted it for you! What a glorious color it is. It can self seed in my garden any time.